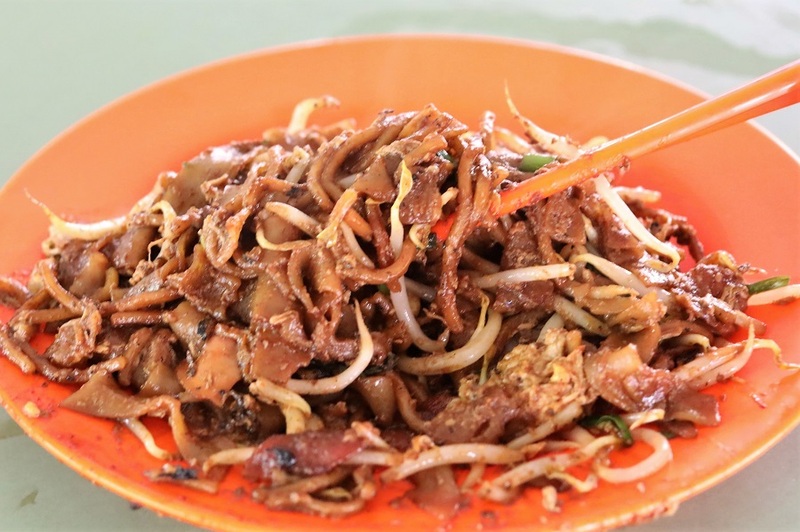 Char Kway Teow is a very personal thing, and ask “Where is the best Fried Kway Teow in Singapore? and you may get quite varied and occasionally defensive answers. 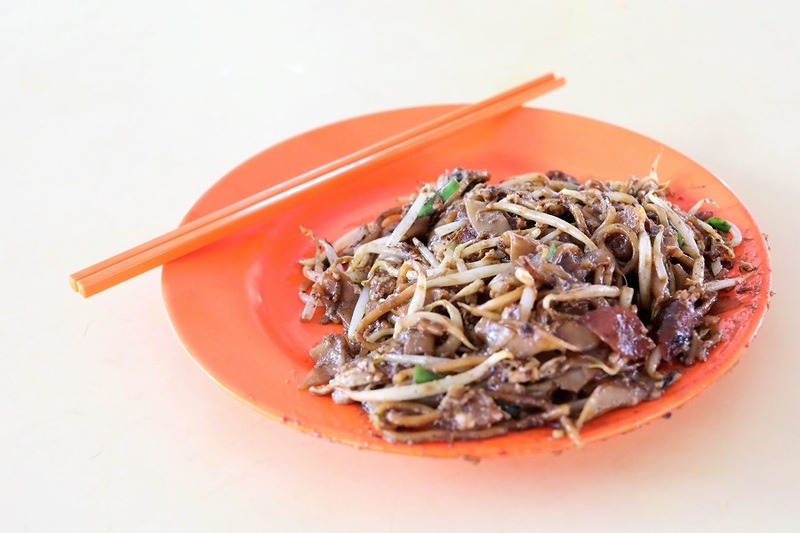 Hill Street Fried Kway Teow 禧街炒粿條 at Bedok South Market & Food Centre certainly has its fans, and is probably the top choice for many. 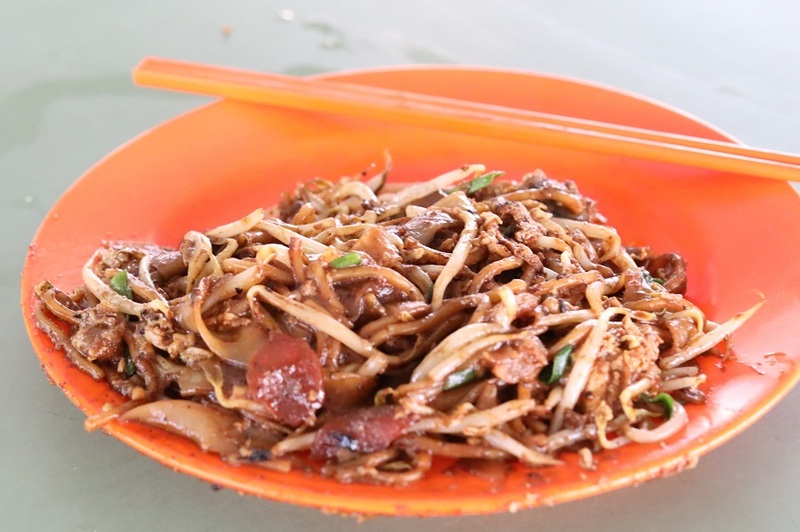 Many local foodies claim it as one of the top 10 Char Kway Teow in Singapore, if not the best. 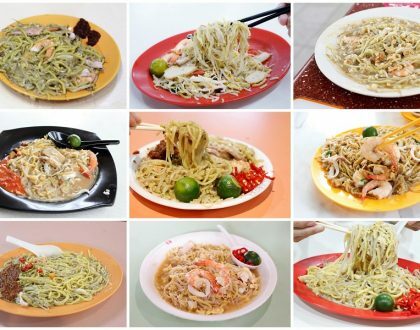 Okay, while personally I did not have THAT many plates of Char Kway Teow, I think some of memorable ones I can find in Singapore include Outram Park Fried Kway Teow Mee (Hong Lim Food Centre), No. 18 Zion Road Fried Kway Teow (Zion Road Food Centre), Hai Kee Char Kway Teow (Telok Blangah Crescent), Guan Kee, Guan Kee Fried Kway Teow (Ghim Moh), and this. 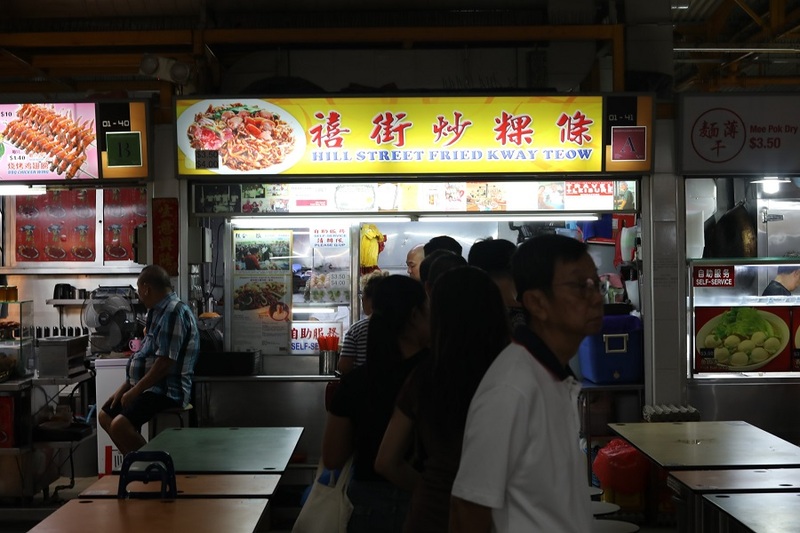 The stall has placed the humble Char Kway Teow in the global food scene when it garnered the top attention in the World Street Food Congress in 2017. 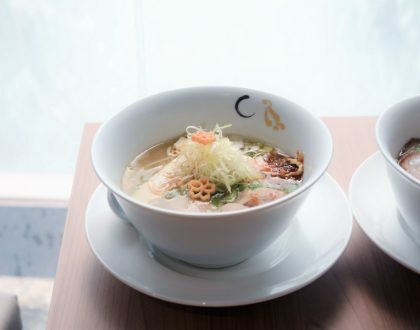 It is also listed in the Singapore Michelin Guide with a “Michelin Plate”. After the founder Mr Ng Chang Siang passed away, the stall has been taken over by his son – and you could also find his aunt doing the frying. 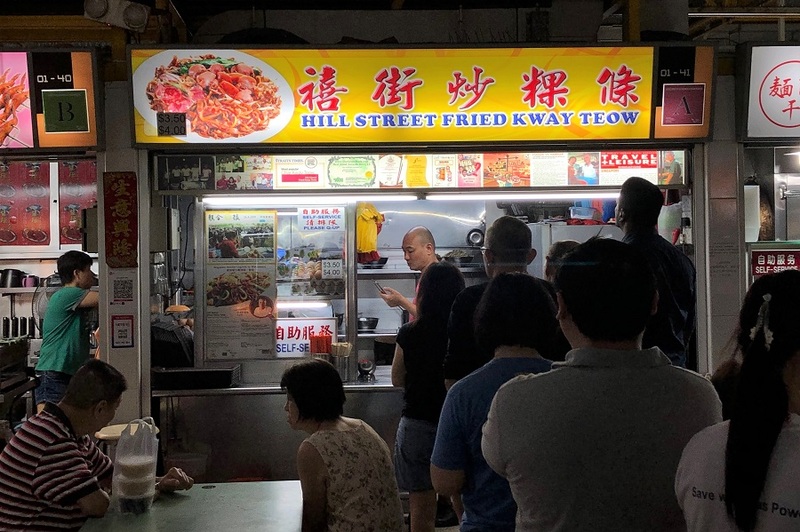 Hill Street Fried Kway Teow is not the most convenient to get to though, and it has rather short opening hours matched with a long queue. Be prepared to wait at least 20 to 30 minutes during lunch time. Even though the closing hours state 4:45pm, do not head over close to timing as it is likely to be sold out. 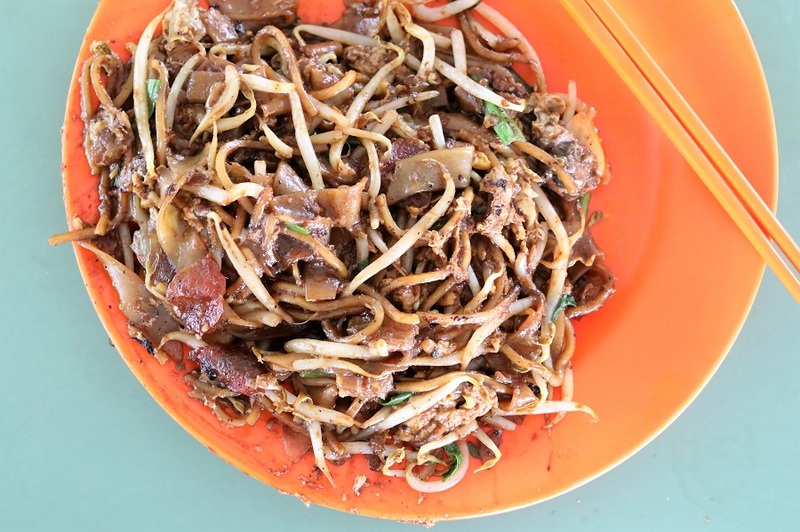 Its Fried Kway Teow ($3.50, $4.00) contains some classic CKT ingredients such as yellow noodles, fresh cockles, egg, sweet lup cheong (Chinese sausage), along with crunchy bean sprouts and Chinese chives. You cannot say that the portion is “generous” compared to many other stalls in Singapore, so I would recommend ordering the bigger portion. For many years it’s been prepared via two-cycle stir-frying method. The first cycle involves wok-frying a large portion of kway teow noodles with some light soy sauce. The noodles are transferred in batches into numerous bowls, and further divided into smaller portions for second cycle stir-frying. A darker soy sauce plus the main ingredients are added during the second cycle. Here’s what I liked about it: it is packed with crunch from the bean sprouts and crispy pork lard bits; and there is good-enough wok-hei. The use of pork lard oil also makes it very aromatic. The texture was slightly towards the dryer side, at least when compared to some of the other popular stalls. 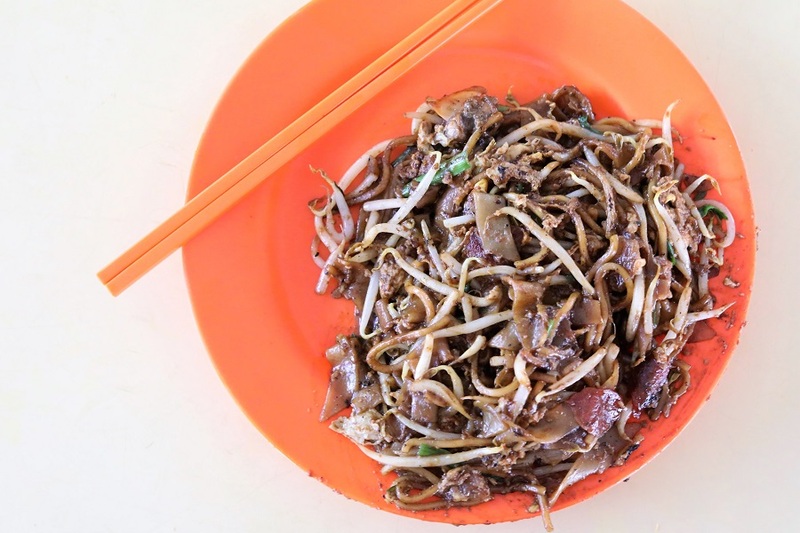 Some people might have prefer kway teow which is softer to the bite and slightly wetter. Some may also wish for a bigger, eggier portion. 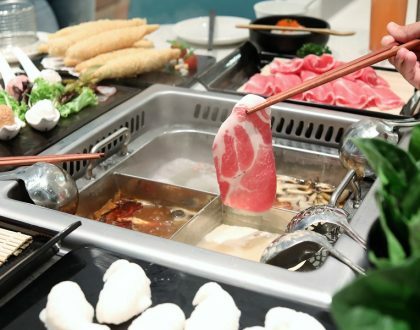 To me, the magic of this plate is in its wok-hei – you get the smokiness from start to the end.